John Howarth MEP has urged the Conservative Government to provide assurances to protect the future of the JET project at Culham Nuclear Fusion Energy. The JET (Joint European Torus) project is the world leading experiment in Fusion Energy, which promises abundant clean, safe energy in the future. The Oxfordshire project involves scientists from all over Europe and is conducted under, EURATOM - the European Union Treaty on the operation of nuclear technologies which Theresa May has committed the UK to leaving. 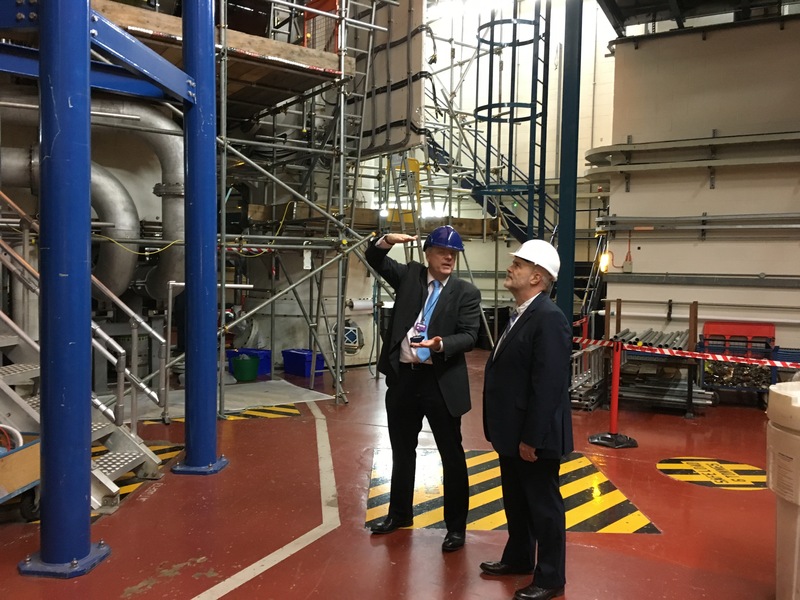 John visited Culham Nuclear Fusion Energy on Monday (20 Nov 2017) to discuss the impact of Brexit and inspected the world’s largest and most powerful tokamak and the highlight of European fusion research programme. The work conducted at the Culham JET tokamak takes the scientific community toward practical energy supply from nuclear fusion by proving the essential technologies and also contributes towards lowering the costs of construction of the International Experimental Thermonuclear Reactor, based in the South of France. John Howarth MEP said: “Britain is a trailblazer in nuclear fusion technology, and it’s essential to both the UK and the rest of the EU that we keep the UK as part of the EURATOM community after Brexit. “Nuclear Fusion research is too big a commitment for any one country alone. Decades of work cannot go down the pan based on the Conservative Government’s inability to get their act together and negotiate.